Willem Edsger van Dijk was born in Rotterdam on December 22, 1947. He studied at the Guildhall School of Music and Drama in London. After graduation he acted in various musicals in the Netherlands, where the genre was still in its infancy. Next to his acting he also made a name for himself in music: performing live with the Skymasters and the Metropole Orkest for radio and television in the Seventies and Eighties. 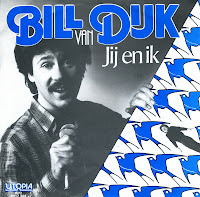 In 1982 he represented the Netherlands at the Eurovision Song Contest with 'Jij en ik' ('You and me'). It was not a successful performance: he ended up in 16th place out of 18 participants. As a result, the single did not reach the charts in the Netherlands.